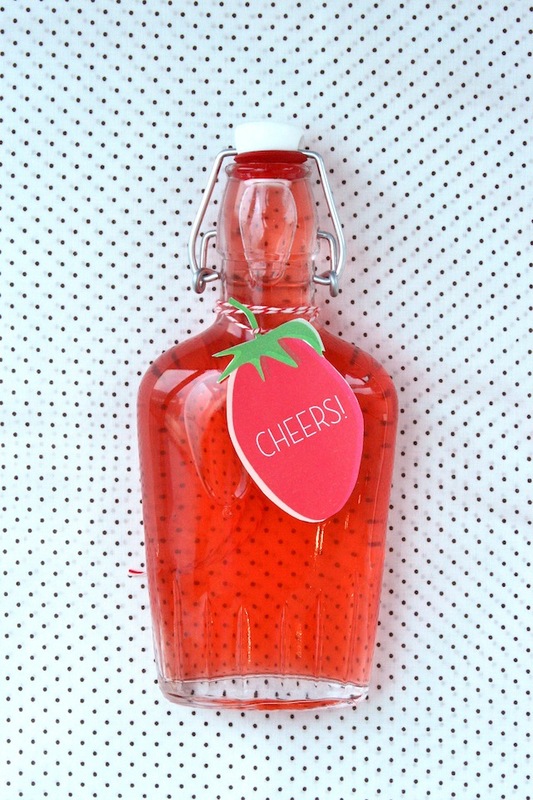 Simple Summery DIY: Homemade Strawberry-Flavored Vodka & Berry Tags! / Hey, EEP! 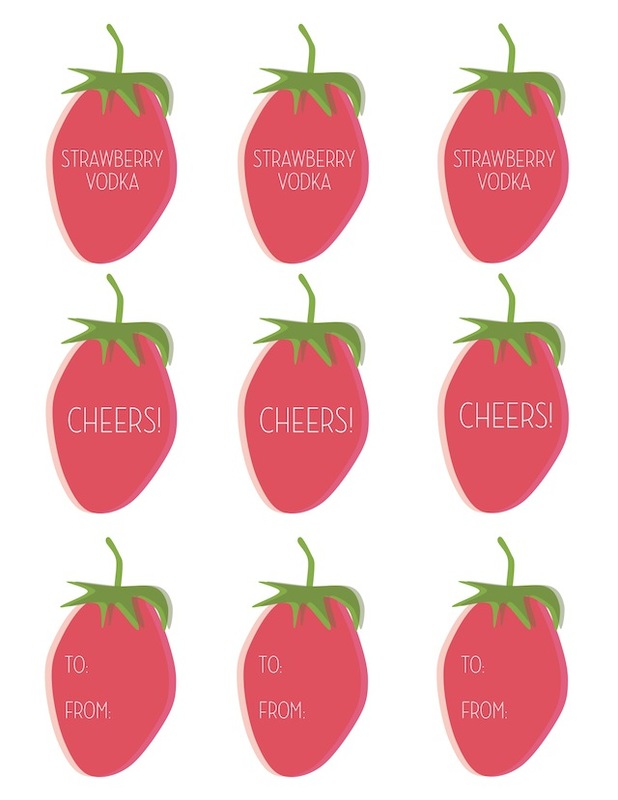 Simple Summery DIY: Homemade Strawberry-Flavored Vodka & Berry Tags! 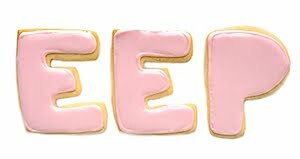 Hey, friends—happy Friday! 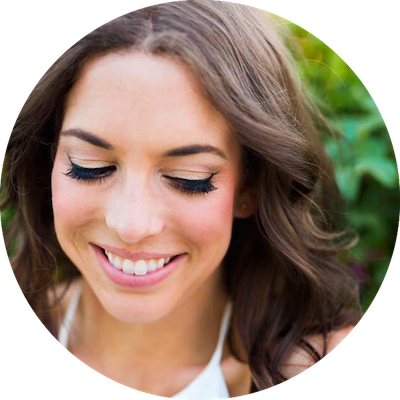 I know it's not officially summer yet but it sure feels like it, so I'm thinking it's time for us to start talking Summery DIYs! I'm excited to share some simple projects with you that I'm totally loving this summer, starting with my Homemade Strawberry-Flavored Vodka! 1. Put the strawberries and vodka in an airtight container. Refrigerate for 1 week, shaking once a day (or refrigerate at least 3 days). 2. Strain vodka into a clean airtight container; discard strawberries. Store vodka in the refrigerator up to 2 months. Use as you would plain vodka! Homemade vodka is such a fabulous summer hostess gift, by the way! Here's an idea: Double the recipe (above) and keep a few bottles on hand for last-minute trips (so you don't show up empty handed). 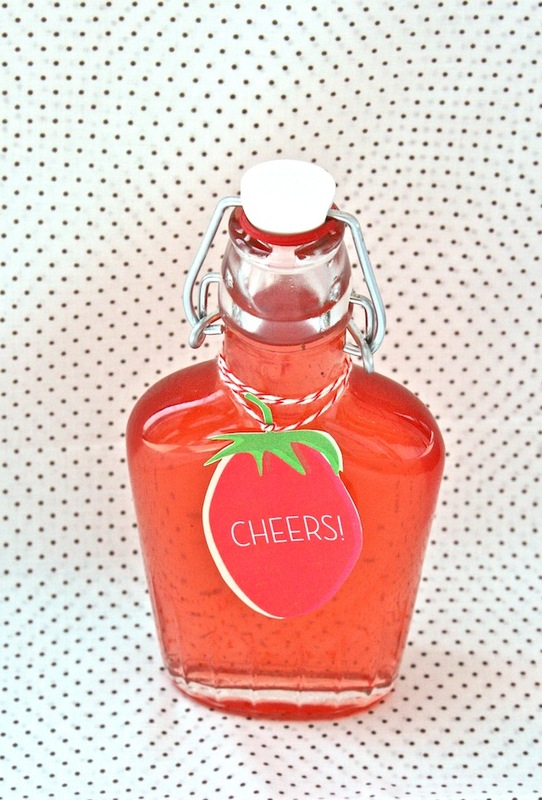 I made these little strawberry tags and tied them to swing-top bottles using bakers twine. You can download the tag template PDF here. 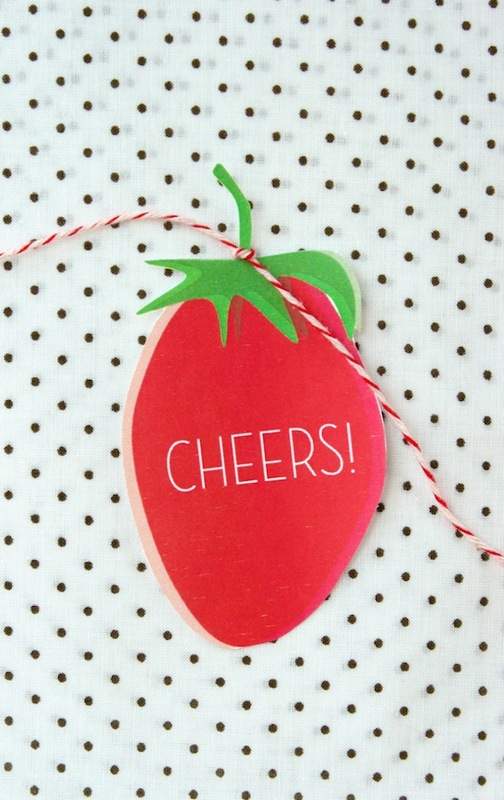 Print out on regular paper or card stock, cut out the tags and customize as desired! Love this! What size bottle is that and where did you find yours? Yuuuum! I wish it was strawberry season so I could make some. Those tags! Adorable. This is such a fantastic idea. Thanks a bunch, Hillary! That means a lot :) Glad you enjoyed 'em—cheers!